Mobile phone calls to Lifeline are to become free from anywhere in Australia. The Federal Government says mobile phone companies have agreed not to charge people calling the helpline number. 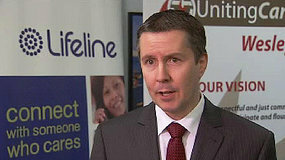 Mental Health Minister Mark Butler says the phone companies will be compensated by the Government. 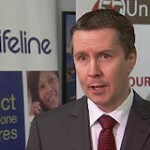 He says nearly one third of all calls to Lifeline are from mobile phones. “Lifeline has been telling us for some time that the cost of very long calls from a mobile, calls where there’s an extensive counselling period, particularly for mobiles with pre-paid plans, has been a potential disincentive for Australians who are in very serious crisis,” he said. The free calls will apply from the start of July. UnitingCare Wesley, which runs Lifeline, says it will be keen to recruit more volunteers. CEO Simon Schrapel is expecting an increase in demand. “With the additional support that the Government has promised, we’re hoping to be in a position to be able to put more people on board and make sure people aren’t left waiting and that we can actually provide a much more responsive service,” he said.